Course notifications are set globally on the Campus settings page, and can be overridden on each individual Course by a course facilitator. 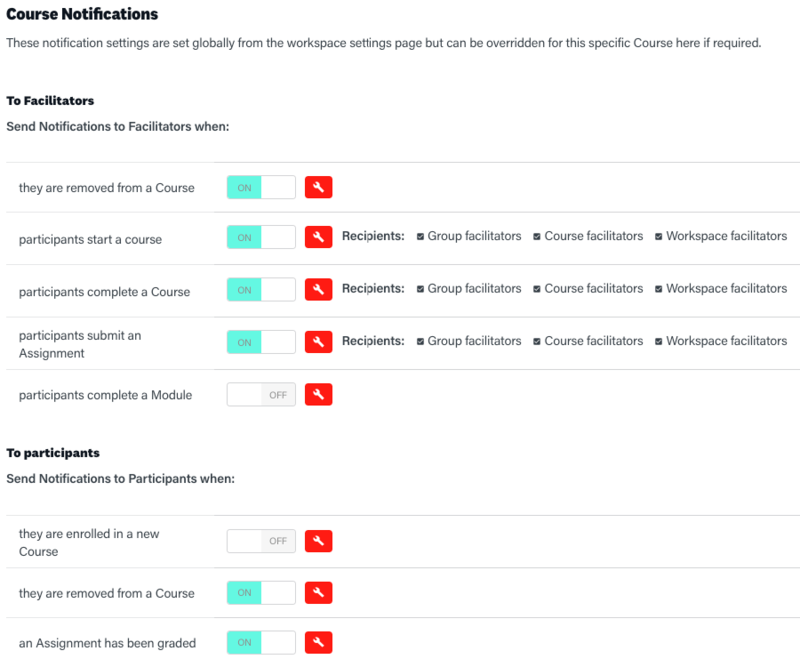 This allow a Campus manager to set the desired configuration for the entire Campus, while also allowing course facilitators the power to override these settings on a course-by-course basis. 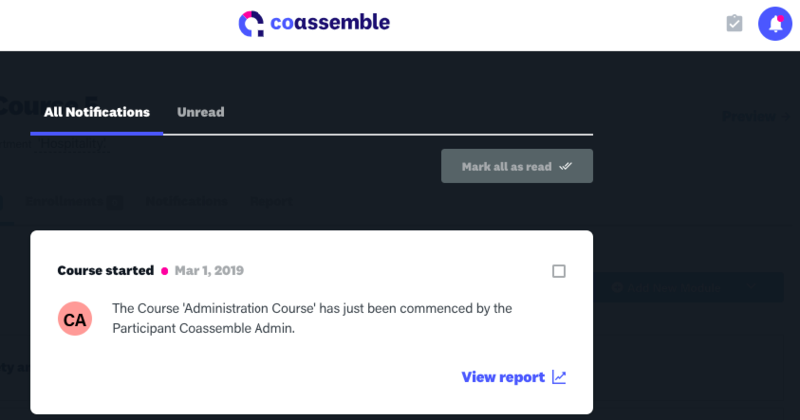 All notifications are sent to the recipients email address and also appear in the notifications inbox inside the Coassemble app. Each notification is clickable, and will take you to the associated screen. To access the global course notifications, go to the main menu and click on the 'Campus Settings' button. Navigate to the 'Notifications' tab. You'll notice that the notifications are broken up into 2 parts; notifications sent to facilitators, and notifications sent to participants. 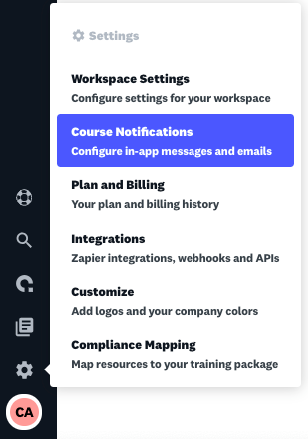 You can toggle ON/OFF each individual notification and use the checkboxes to choose who should receive each notification. 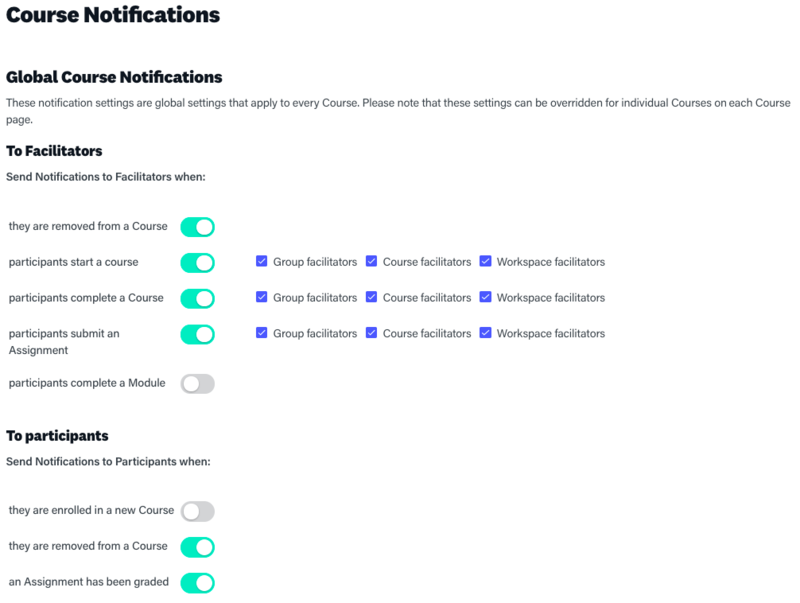 If you are a Course Facilitator on a course, you will have the ability to override the global notifications settings for that course. To override a notification, simply click the override button. Once you've done this, you'll be able to change the settings for that notification. If you need to revert the notification back to it's original configuration, simply click the yellow 'clear' button.